Three men who were arrested during clashes between migrants who wanted to head for Northern and Western Europe and police on Saturday near the Diavata reception center in northern Greece told a court in Thessaloniki on Monday they were misled, along with hundreds of others, by a message spread on social media that the border was about to open. The three – a Palestinian, 28, an Iraqi, 28 and a Syrian, 32 – were each sentenced to 12 months in prison for resisting arrest. All three appealed the decision and were released. “We were told that the Red Cross and other NGOs would take us out [of the country]. I believe we were fooled,” the Palestinian said. 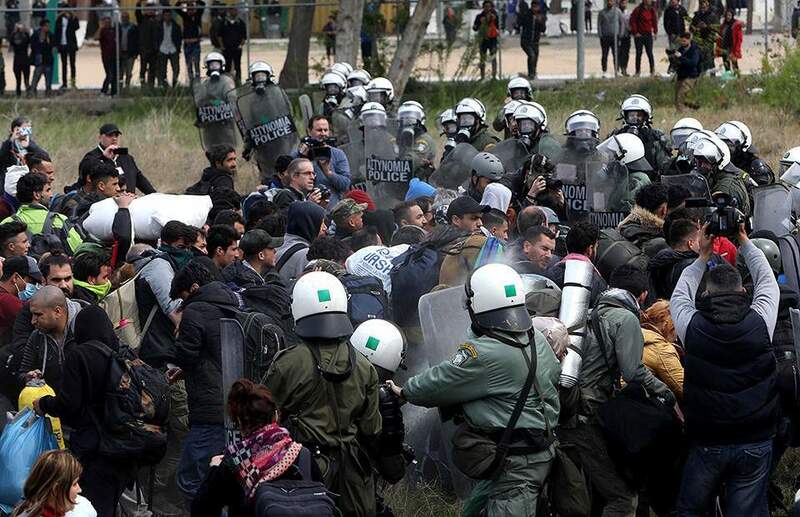 Meanwhile, Migration Minister Dimitris Vitsas indicated on Monday that international human smuggling rackets in Greece and Turkey had instigated last week’s three-day clashes.